Pittsburgh Underground: 13th Annual Art All Night THIS Saturday!!! 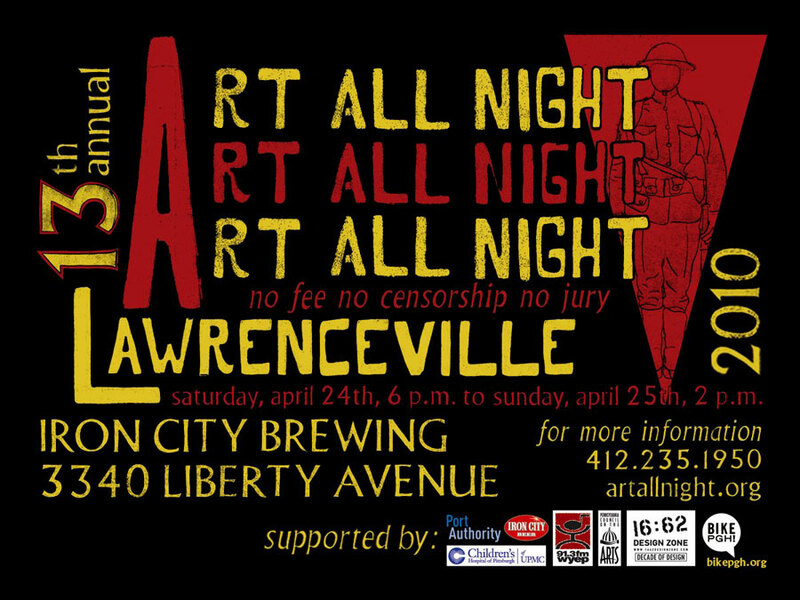 13th Annual Art All Night THIS Saturday!!! Hey kids! 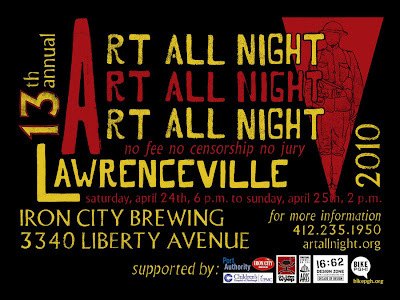 It's that time of year again - Lawerenceville's 13th Annual Art All Night event starts this Saturday, March 24th from 6pm to 2am This event has gained quite the cult following and this year is no exception. Being held at the old Iron City Brewery Plant (3340 Liberty Ave), this grass roots, community sponsored art venue will showcase artists from all walks of life, musical performances, bellydance troupes (mmm...bellydance! ), and even children's events to get them excited about art in the Pittsburgh community. Last year's event featured work by 1034 artists and was attended by over 10,000 guests (yes, this is a BIG event folks). There's still time to register if you would like to submit artwork for the event (only 1 piece, as space is tight). All the gory details about registering are right here if you are interested. All other details can be accessed by the link above or right here. Remember - this is a FREE event to attend or to participate in. Hope to see you there!